Where to write the CSS code? If you want to write CSS codes then it is very easy because you need not use extra editor for CSS codes. You can write the code in simple notepad where you have written the HTML codes. 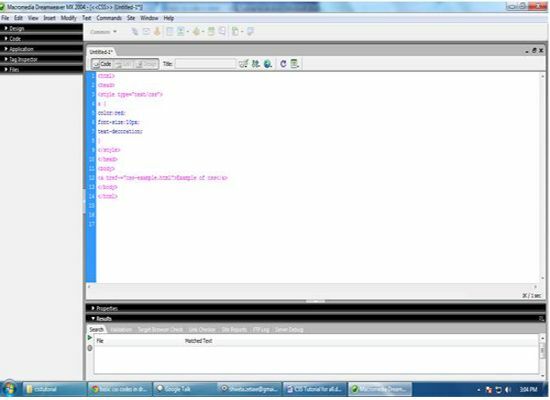 You can also write the codes in dream viewer which is a most popular editor and helps to write the codes. Write the code in separated style tag and when the codes end, close style tag. You can write CSS codes in three types which depend on the requirement. You will learn are given in next chapters. Since it is not case sensitive so you can write the codes in any case (lower/upper).